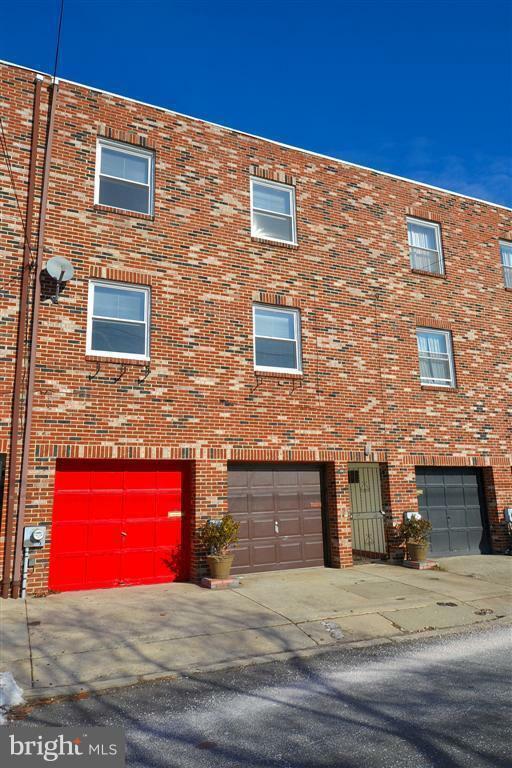 If you like fantastic sun; a big, open living space with new hardwood floors; mint condition throughout; private Garage Parking; 2 large bedrooms; ample storage; lovely kitchen and baths; all in a superb location (95 WalkScore), then this residence is for you. 2 blocks from the South Street Restaurant Row and just 5 blocks to Rittenhouse Square. Features: Bright and open 2 bedroom, 1.5 bath townhome with garage. Excellent Condition. Hardwood flooring and Berber carpet. Big South-facing windows. Huge, open living area and dining area. Open newer kitchen with breakfast bar, very nice appliances, including GE 5-burner convection range, Whirlpool Gold refrigerator, Washer/Dryer. Crown baseboard moldings. Ground Floor-large garage with automatic door. Fits SUV plus plenty of extra storage, bikes, etc. 1st living floor-Spacious, open living area, dining area and kitchen. Large south-facing windows. Half-bath. Big coat closet. 2nd floor-2 large bedrooms, each with South-facing window and excellent closets. Newer tile full bath with linen closet. 3 hallway closets. Skylight. 1721-A Fitzwater offers a 95 WalkScore (93 TransitScore, 87 BikeScore). $35 fee per applicant due with application. 1st, last, and security due upon lease signing.